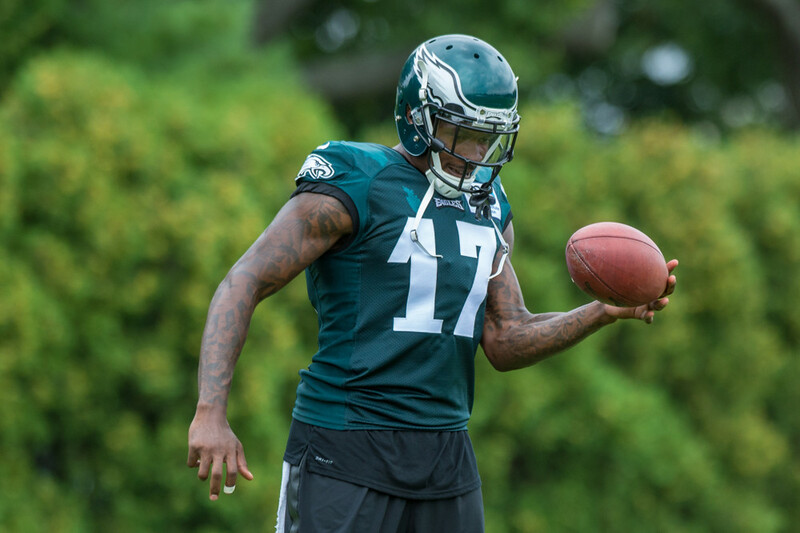 Wide receiver Alshon Jeffery finished last season with an underwhelming performance: 52 receptions for 821 yards and only 2 touchdowns. This lackluster season was, in part, due to the four game suspension served for a PED violation. Also to take into consideration was the fact that the Chicago Bears had Jay Cutler, Brian Hoyer and Matt Barkley all playing quarterback throughout the season. With no consistent quarterback play this season, Jeffery found it difficult to generate much success. He found himself finishing 9 spots behind teammate Cameron Meredith who finished 36th in receiving yards (888) and was able to haul in 4 touchdowns. Jeffery is currently being drafted as the 17th wide receiver and 4.02 overall in fantasy football ADP. Data is from 12-team standard mock drafts. 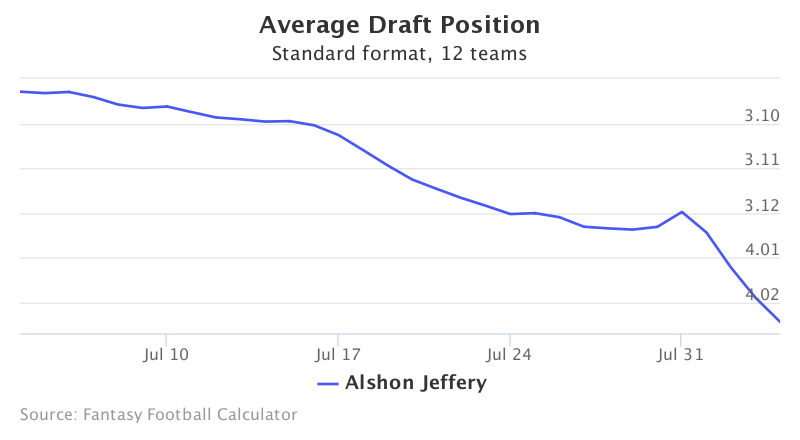 Over the past month, Jeffery’s ADP has slid 3 spots and he is currently moving towards being selected in the fourth round of drafts. If Jeffery’s ADP keeps falling as drafts approach over the next month, he could possess some value worth taking a gamble on. He has missed 11 games over the past two years and has only scored six total touchdowns in that timespan. There is potential for a breakout year from Jeffery if he can remain on the field, however selecting him will be a true risk-reward type option this year.